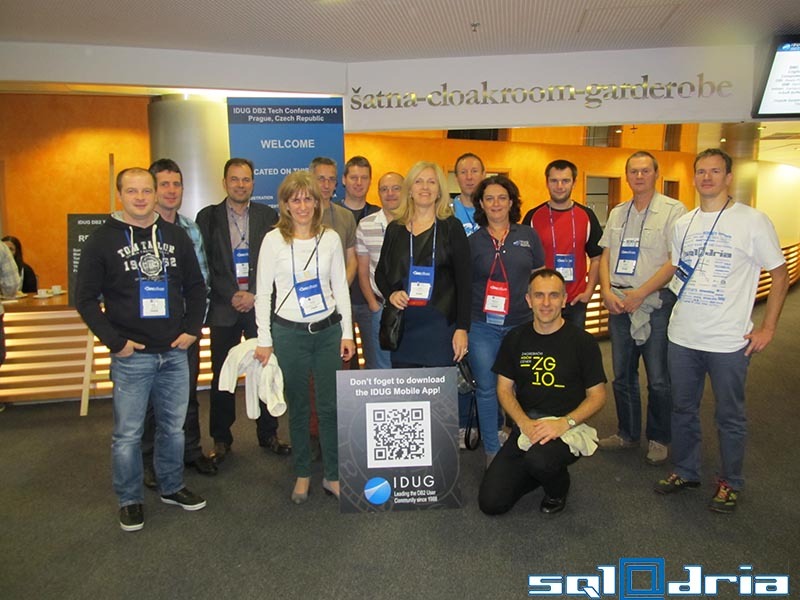 This year the IDUG DB2 tech Conference was held in Prague, November 9 – 14. It is the best possible DB2 education. SQL Adria members also attended and experienced the latest in DB2 technologies, networking opportunities and much more technical content we need to be successful. We heard real-world tips and tricks directly from the architects and engineers from IBM, vendors, counsultants and hands-on users arround the globe. Yes – for years IDUG has not been just for DBA. There were also very motivational and interesting keynote speakers, who talked about planing for the unexpected, technology future trends and directions. Mentor program was a success and there were many first time attendees. The New Mobile Application was also great and useful. Due to the all these facts it is not a coincidence that the number of attendees is getting bigger every year. 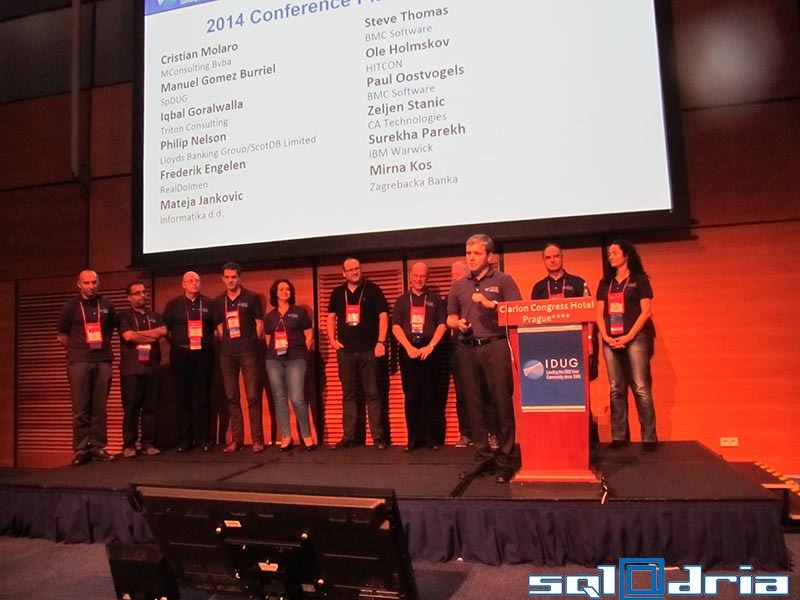 SQLAdria is an IDUG regional user group. We are proud that almost 30 attendees from our region attendeed this tech conference. We are also very active in cooperation with IDUG: our members participate in IDUG volunteer committees and speak at IDUG conferences. 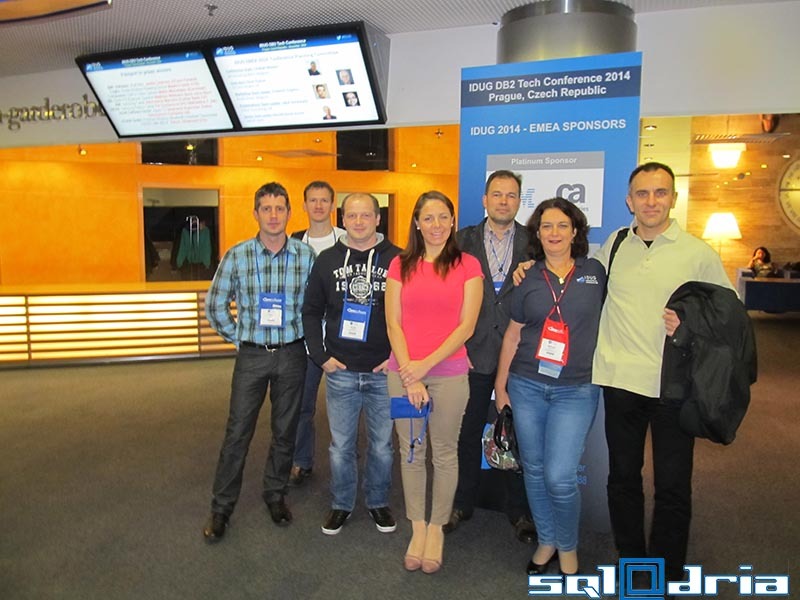 This year Mirna Kos (Zagrebačka banka) is a member of IDUG Board of Directors, Željen Stanič is CA vendor liaison in IDUG EMEA CPC, Sven Lovrenčić (Zagrebačka banka) is a Web team leader, Tihomir Katić (APIS IT) is a Web team member and Mateja Jankovič (Informatika d.d.) is IDUG EMEA CPC Member. This year Andrej Furlanič from Interes was a speaker at the conference - C6 ADMIN_MOVE_TABLE(): Why would a DBA move a table? (Waiter As A Second Job). There were also some activities organised for RUGs. 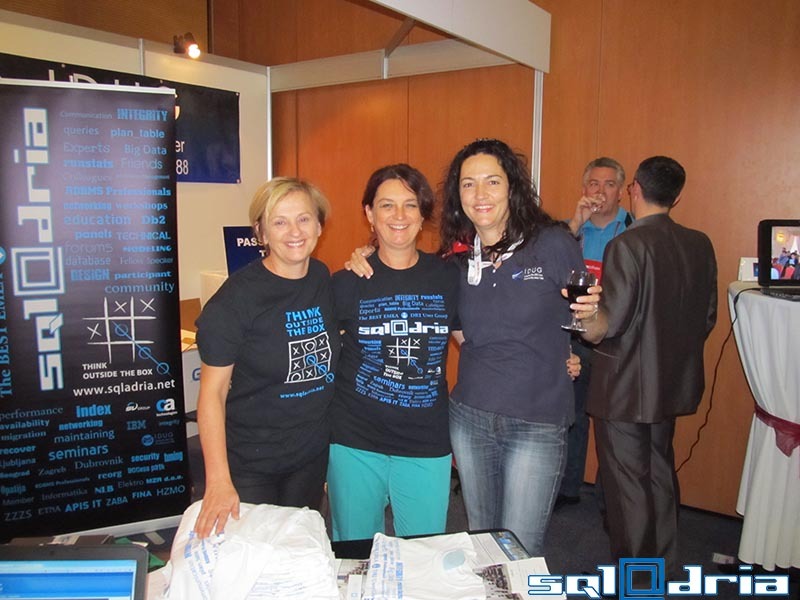 SQLAdria members of Presidency presented our events in 2015 at RUG booth and attended RUG Leaders Lunch. At the closing session IDUG CPC Chair Cristian Molaro announced that this year’s attendance was the largest in many years. And next year IDUG will be held in Dublin, November 15 – 20. Is it really too early to make plans? Maybe not – Call for presentations is opened already!